Goodbye, Riken. Goodbye, Elsa. 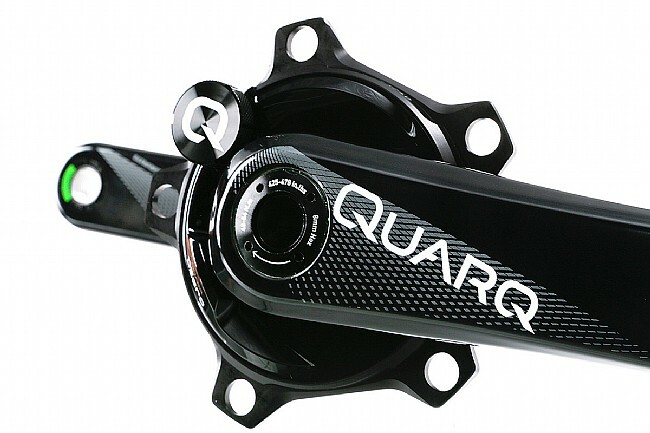 Quarq's Dzero Carbon Power Meter Crank improves on their previous platforms, featuring an updated strain gauge and circuitry so your numbers are more reliable even in the most extreme riding conditions. 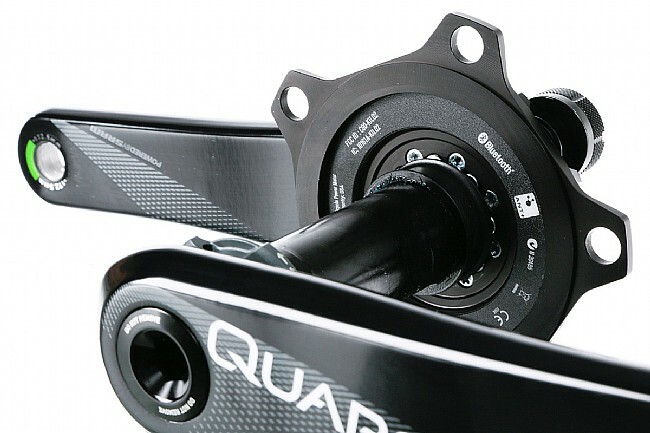 They've added dual Bluetooth LE and ANT+ transmission so you can be paired with your cycling computer or a smart device, and it also allows for wireless firmware updates through Quarq's Qalvin BLE app. Exogram carbon arms with a CNC'd aluminum spider keep the weight low and the stiffness high, and this 110 BCD model is compatible with standard 5-bolt compact chainring options. (Not compatible with Campagnolo chainrings.) Available in multiple length and spindle options. Claimed weight is 559 g.
Easy to install high quality power meter it just works. This is my first power measurement device and I've been very impressed with how easy it is to use. I connected it to my Garmin and it has worked flawlessly for the past year. I find it particularly useful for long hard rides to optimize my pace without burning myself out. Yeah, it's pricey, but then again it just works reliably and for both Left and Ride pedal strokes. I started out with the Stages Cycling power meter and a Garmin 520 which worked OK, but when I upgraded to a Garmin 820 it would drop power and RPM connectivity with the Stages. Support for both Stages and Garmin pointed the finger at each other, no resolution so I sold both my Garmin and Stages then opted for Quarq and Wahoo which work perfectly together under sun and rain conditions. 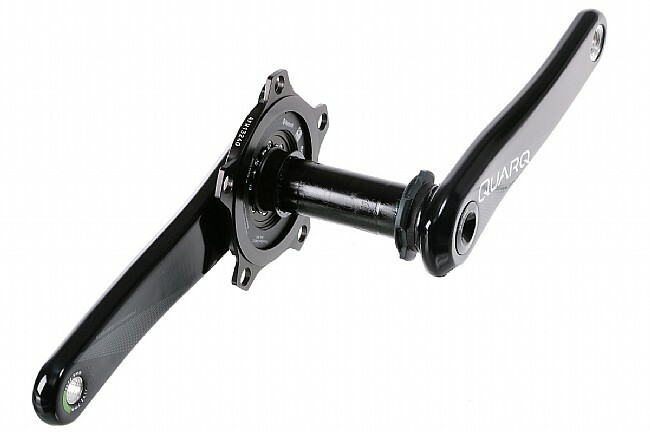 This is my second Quarq powermeter, the first was added to an S-Works as a special add-on for S-Works bikes af few years back. 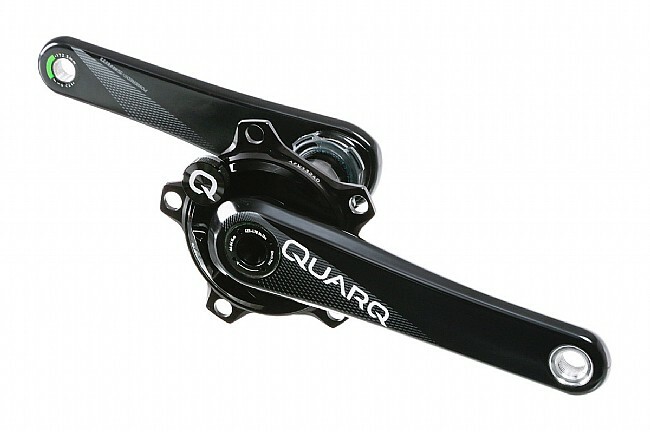 It really has been solid and I have had no problems with it, so when time came to consider adding a pwoermeter to my 1X gravel bike with SRAM setup, Quarq DZERO was the logical pick. I actually saved grams (around 170g) switching to the carbon composite spider and crank arms from the SRAM Rival 1X stuff. I ride every day to work and race on road and gravel on weekends. My Tarmac bike used a Quarq power meter, so when I built up a 2014 Cervelo R3 frame I added this Quarq DZERO power meter and it just works. There's a free App that lets you calibrate and see the battery level. A power meter helps me keep a sustainable pace on my weekly century ride each Saturday. I got this to replace my Garmin Vector 2 pedals. 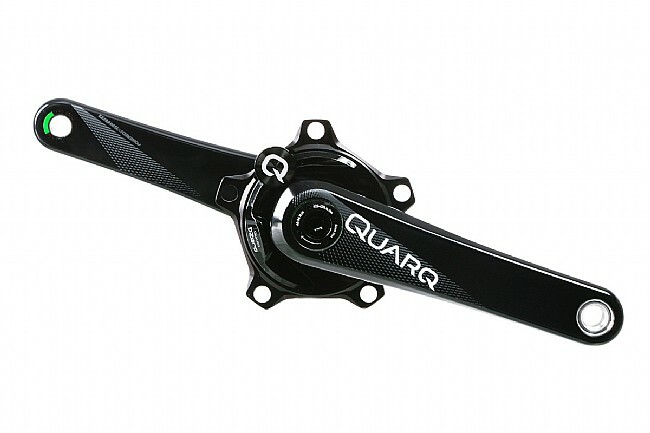 They work, but the Quarq is a simpler, more user friendly power meter. Once it is installed it is easy to set up and use, and it always seems to work without any drama. I have come to depend on the power meter to make sure I am training in the right zones. It also helps me pace myself up hard climbs and during races.